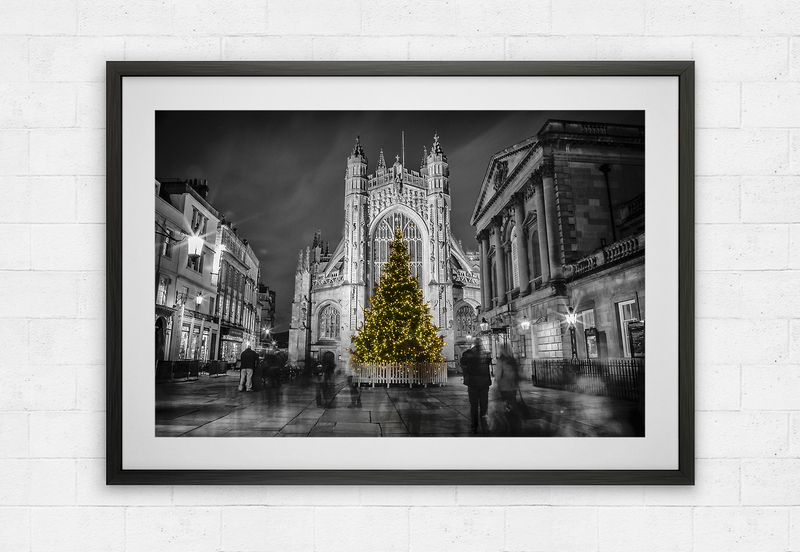 This stunning black and white with colour highlights shows famous Bath Abbey bathed in light with the traditional Christmas tree and sparkling lights. 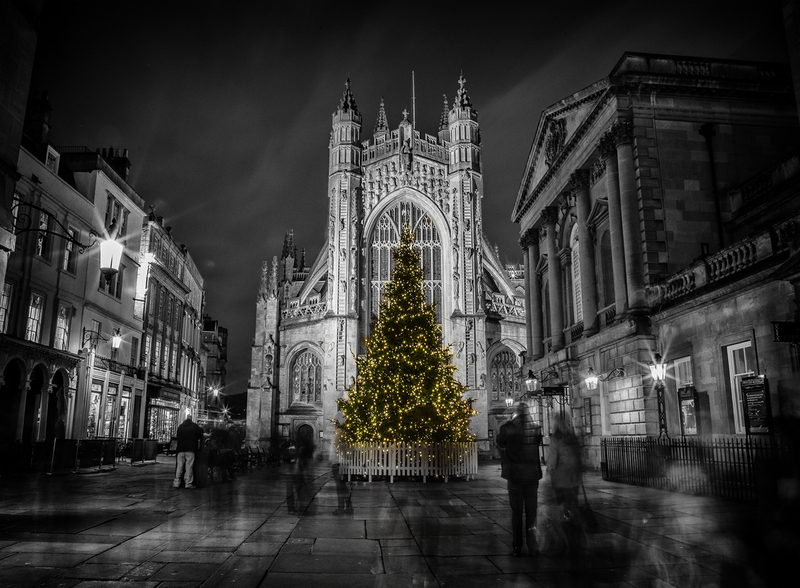 The image was created with a long exposure showing the passing people as ghost-like images. (Click here to view a larger image).